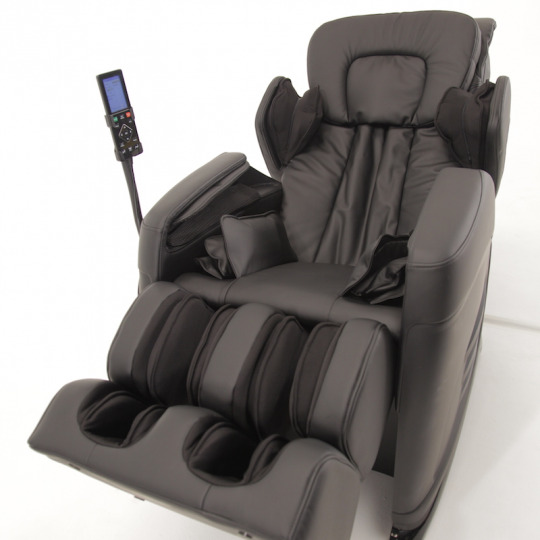 The Zen Awakening Serenity Massage Chair offers a exclusive full-body massage. The chair uses a combination of HeatTherapy and ReCirculate technologies that increase blood flow and circulation while reducing stress in the target areas. It’s easy to see why Zen Awakening’s Serenity is one of the world’s most popular massage chairs. Its clean and aesthetic design are matched only by its truly memorable massage. With five relaxing back massage techniques, Serenity’s expansive lumbar range releases your spine from pain and tightness. Serenity’s YogaFlex decompresses your spine and joints as it stretches your back, taking pressure off your vertebrae and soothing overworked muscles. For your shoulders, Serenity’s ShoulderCompress alleviates all of the aches and soreness that plague the area around your shoulder blades. And, for your waist, thighs, and glutes, Serenity’s HipShape treats you to an ultra-relaxing compression massage. Serenity’s LegExtender provides optimum comfort for every height as its lower half extends up to seven and a half inches making your massage even more comfortable and customized just for you. No matter your size, Serenity’s ShapeDetect maps your body to create a massage experience uniquely tailored for you. All of this is blended with the luxury of Serenity’s HeatTherapy, delivering soothing warm waves all over your body throughout your massage. Control Serenity’s features with a touch of a button on its customizable LCD remote control VideoMap. Making luxury massage chairs since 1999, all of Zen Awakening’s products are backed with a limited lifetime guarantee. So, invest in yourself with the purchase of a Serenity massage chair today.